Some classic live songs from Ian Gillan & Deep Purple, including some pre and post-Deep Purple rarities - I Hear Trumpets Blow, Child in Time, Smoke on the Water, Trouble, Perfect Strangers, No More Cane on the Brazos, and Out of My Mind. 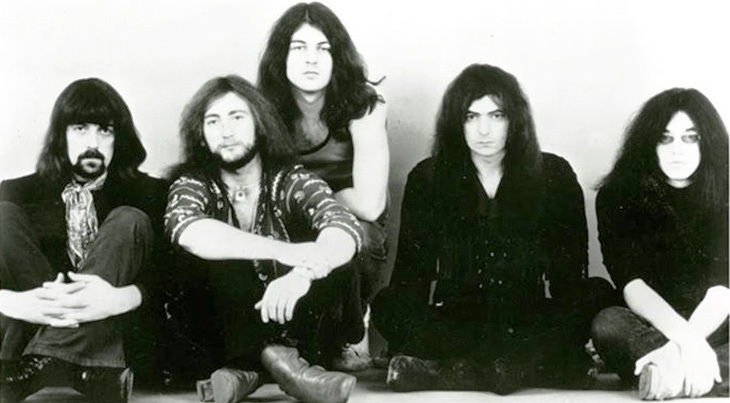 From left, the Deep Purple line-up in 1971 - John Lord, Roger Glover, Ian Gillan, Ritchie Blackmore, and Ian Paice. Ian Gillan was born 65 years ago today on August 19th, 1945 in London, England. Gillan's mother's side of the family had deep musical roots (his grandfather had been an opera singer and pianist). Like many baby boomers, Ian was an Elvis Presley fan, deciding to become a singer after watching an Elvis movie. Ian Gillan had been in the same grammar school (high school) class as the Who's Pete Townsend, but dropped out in the early 1960's and got a day job while singing vocals in his first band, Garth Rockett and the Moonshiners. The band played cover tunes at a local club for youths, Dunstan's Hall, and Gillan switched to another group that also played at the hall, called Ronnie and the Hightones (re-named to the Javelins); the band broke up in 1964. He sang with local soul group Wainwright's Gentlemen, before leaving in April 1965 to join a group called Episode Six, after their lead singer left. Episode Six was much more successful than his earlier groups, with the band not only performing in the UK, but touring Beirut and Germany. Ian Gillan and Episode Six bass guitar player Roger Glover began writing songs together, a partnership that would last a very long time. Below, Episode Six with Ian Gillan performing I Hear Trumpets Blow in 1967 - dig the groovy outfits! In 1968, Gillan was approached by guitarist Ritchie Blackmore, organist Jon Lord, and drummer Ian Paice to join their new group, Deep Purple, as their lead singer. Gillan declined because he felt that Episode Six was about to break into the big time. In July 1969, Gillan had begun a romantic relationship with British television show presenter Zoe Dean, and Episode Six had released 9 unsuccessful singles; Gillan decided to leave the group. Deep Purple had by now released three albums, achieving a #4 Billboard US Hot 100 hit with their cover of Hush by Joe South on their first album. Blackmore, Lord and Paice wanted to go in a "heavier' rock direction and scouted again for a new lead singer to replace Rod Evans, eventually tracking down Ian Gillan and persuading him to come on board. With Ian Gillan now installed as lead singer, bringing with him new bass guitarist Roger Glover, Deep Purple jumped right back into performing and recording. An early collaboration with an orchestra resulted in a one-time performance at the Royal Albert Hall in London, before finding the "classic" Deep Purple heavy metal sound. 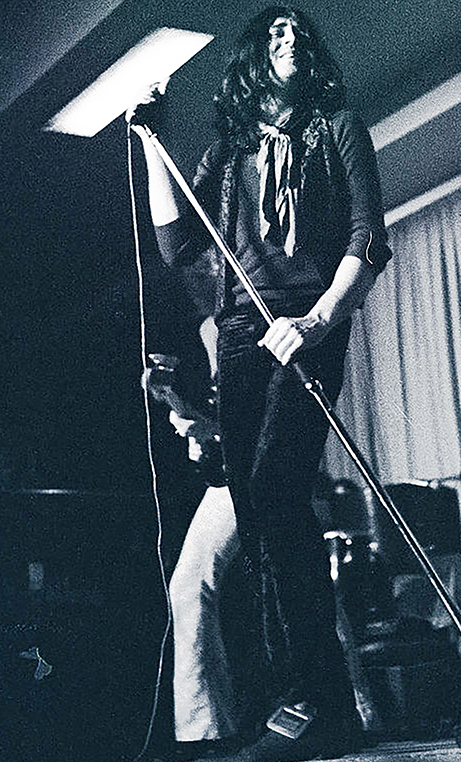 Below, Ian Gillan singing with Deep Purple at the Royal Albert Hall in 1969. In 1970 Gillan sang the part of Jesus in Tim Rice and Andrew Lloyd Webber's Jesus Christ Superstar for the studio album. Although Gillan was later offered the lead role in the 1973 movie, filming on Jesus Christ Superstar would have conflicted with Deep Purple's touring schedule, and ultimately Rice and Webber went with Ted Neeley as Jesus. Deep Purple's first studio album In Rock (1970) achieved some chart success in the UK; Ian Gillian wrote the lyrics and vocal melody to the single Child in Time from the album. Below, Ian Gillan and Deep Purple performing Child in Time in 1970. Deep Purple's second and third albums were released in 1971, featuring songs for the most part collaboratively written by the band members (Gillan, Lord, Blackmore, Paice & Glover). Fireball made to #1 on the UK album charts and spawned the Top Ten hit single Strange Kind of Woman. Gillan was becoming exhausted with Deep Purple's non-stop pace of touring and recording, and had begun drinking; he and Ritchie Blackmore were roommates, but their relationship was strained. While waiting to board a plane to Chicago to resume a US tour in November 1971, Gillan collapsed and was found to have hepatitis. The rest of the US tour was cancelled, although Gillan was sufficiently recovered to travel with the band to Switzerland, and to record their planned album Machine Head at the Montreux Casino on December 4, 1971. The song lyrics of the classic Deep Purple song Smoke on the Water, tells the story of what happened during the recording of the Machine Head album in Montreaux, Switzerland. Deep Purple had planned to use a mobile studio (truck) rented from The Rolling Stones and set up in the theatre of the Montreux Casino, to record the album. However, the night before the recording was to take place, a Frank Zappa concert was held in the same theatre and it caught fire when an audience member fired a flare gun into the ceiling. Smoke from the fire spread over Lake Geneva, watched by the Deep Purple band members from their hotel. The director of the Montreux Jazz Festival, Claude Nobs, ran back and forth helping people to escape the fire, but the entire casino and theatre were destroyed. Deep Purple ended up renting out the almost empty Montreux Grand Hotel in Switzerland, using hallways and stairwells to record most of their Machinehead (1972) album. Ian Gillan's vocals for Smoke on the Water (lyrics written by all the Deep Purple band members) were recorded there. Although Smoke on the Water was included on the Machinehead album, it wasn't released as a single until 1973; it went to #4 on the US Billboard charts, turning Machinehead into a Top Ten album. Below, Ian Gillan and Deep Purple performing Smoke on the Water in 1973. Two more Deep Purple albums were recorded in 1972 - Made in Japan, and Who Do We Think We Are. By late 1972 Ian Gillan was completely exhausted from touring and having recorded six albums in four years. Gillan and Ritchie Blackmore were arguing frequently about music (the song Smooth Dancer written by Gillan is about Blackmore) and Gillan would wait until the band had laid down the backing tracks for songs before going into the studio to separately record his vocals. Below, Ian was interviewd c. 1970 and talked about touring, fans and crowds. In December 1972 Ian Gillan wrote a resignation letter advising the band he intended to leave Deep Purple in 1973. They replaced him with new lead singer David Coverdale (future Whitesnake lead singer). Ian Gillan dropped out of the music business completely for a time, choosing instead to invest in different, mostly unsuccessful businesses. He was drafted into a one-night performance of the Butterfly Ball at the Royal Albert Hall in 1975 after a last-minute cancellation by singer Ronnie James Dio. The Butterfly Ball album had been produced by Gillan's friend and former Deep Purple bandmate Roger Glover, who by now had also left Deep Purple. Glover had pulled together an array of rock musicians and vocalists to perform on the album and in the concert. 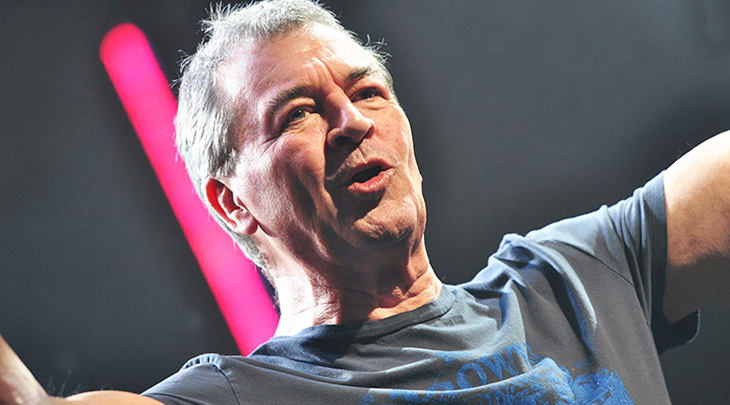 When Ian Gillan took the stage at the Royal Albert Hall in October 1975 for his first performance in over two years, he received a standing ovation and was inspired to re-ignite his musical singing career. Gillan quickly formed the Ian Gillan Band and before 1975 had concluded, they recorded the album Child in Time (1976). Two more albums followed, however the jazz-rock sound wasn't popular and the band was dispersed in 1978. By this time, Ian Gillan and Zoe Dean's 9-year relationship had also ended. Hard rock band Gillan was formed that same year; it included drummer Mick Underwood from Episode Six. Their album Mr. Universe came out in October and made the UK charts. Between 1978-1982 Ian Gillan released 6 albums and charted several times in the UK; he folded the band in 1982, citing damaged vocal chords. The other Gillan bandmates sued him for royalties from their successful final album Magic. During one of the Gillan tours, Ian had met Bron, a dancer on the tour; they began dating. Baby boomers may recall that for a brief time, Ian was the lead singer for heavy metal band Black Sabbath. He was recruited in to help record a new album Born Again (1983) and went on tour with the band to support it. The Black Sabbath song Keep It Warm was dedicated to Ian's girlfriend Bron. Not familiar with Black Sabbath's back catalogue, Gillan struggled to find the lyrics during live performances; when the album came out he intensely disliked the cover and final mix...and his time in Black Sabbath was over. Ian Gillan married Bron in 1984 and their daughter Grace Gillan (now a singer herself) was born that same year. Deep Purple reunited, with Gillan in place as lead singer once again. The band recorded three albums and toured. Below, Ian Gillan and Deep Purple performing Perfect Strangers. Creative differences again resulted in discord between Ritchie Blackmore and Ian Gillan, ultimately resulting in Gillan being fired from Deep Purple and leaving the band again in 1989. 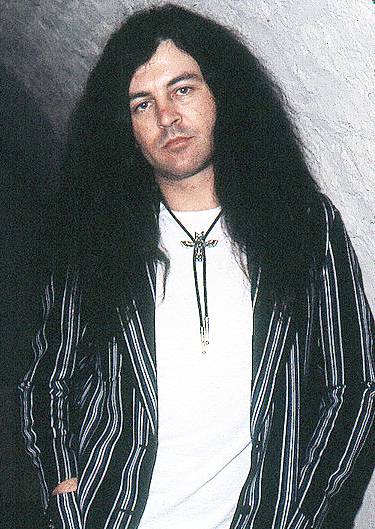 Ian Gillan released the solo album Naked Thunder (1990), which contained a cover of No More Cane on the Brazos, a traditional American prison work song of the deep south. Below, Ian Gillan performing No More Cane on the Brazos in 1985. Ian Gillan then formed another band called Garth Rockett and the Moonshiners. Garth Rockett and the Moonshiners recorded an album and toured Europe, the US and Russia. In 1992 Ian Gillan was asked by Glover, Lord, and Paid to rejoin Deep Purple to replace lead singer Joe Lynn Turner. They need to complete their album The Battle Rages On, and a 25th anniversary tour was scheduled for 1993. Ritchie Blackmore quit Deep Purple mid-tour in 1993 and Gillan's enthusiasm for Deep Purple, touring and recording, was revitalized. Deep Purple has continued to tour and record with Ian Gillan as lead singer ever since, releasing their most recent album Now What in 2013 and touring the US this summer (2015) - not bad for a septuagenarian senior citizen. Below, Ian Gillan and Deep Purple performing Hush in the music video.. Although Ian Gillan has kept and is still busy with Deep Purple in his 50+ and now senior years, he's also been involved in numerous other musical projects. He performs and records for other solo efforts and musicians, and has headed numerous musical charitable endeavours in aid of Armenia, a country he considers his "spiritual motherland". In 2010 senior citizen Ian Gillan, Jon Lord and 5 other musicians including Tony Iommi, recorded a song called Out of My Mind to help fund a music school in Gyumri, Armenia. The song was released in 2011 and Gillan and Iommi were awarded the Armenian Presidential Medal of Honour. Gillan and Iommi have subsequently formed the charity WhoCares, to fund recordings and peformances to raise money for specific causes. Gillan has also hosted Chopin's Story (2011), an award-winning documentary film about legendary Polish pianist and composer Fryderyk Chopin. Below, Ian Gillan singing Out of My Mind. 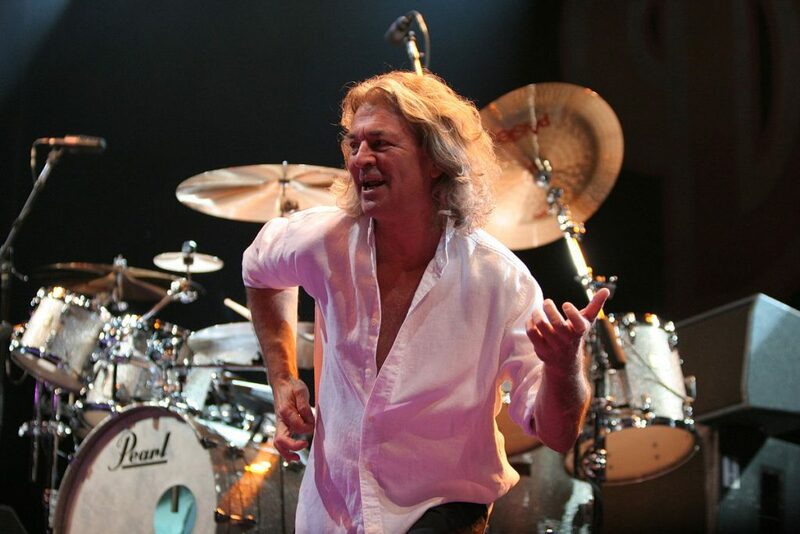 Ian Gillan has lived in Portugal since the mid 2000's with wife Bron Gillan. Their daughter Grace is a mother, making Ian not only a senior citizen, but a grandfather. He has no plans to retire from songwriting, performing and touring, although the idyllic Algarve in Portugal could be considered a retirement destination. "There are things I can’t do anymore because I’m too old for them. But I’m better at writing than I was before. Also I think I’m not as aggressive as I was. I’m a more peaceful person now. Hopefully I’m more balanced." In 2018, Deep Purple is touring North America with Judas Priest. Note: This article was originally published in 2015 under the title Celebrating Seniors - Deep Purple's Ian Gillan Turns 70. It has been updated with new/additional content. Celebrating Seniors - Janis Ian is Not "At Seventeen"